Watch these videos about specific brand marketing and using this chart listen out for key points made in the interview. When a brand crosses a border, it’s got to adapt itself internationally. Colours have different meanings in different societies. One of the most common ways of creating the communication and marketing effect is to engage well known personalities as brand ambassadors. Choose one or more of these statements as the topic for a research activity into brand marketing. Cover the following points in your research. Find evidence of a branded product that exemplifies the statement(s) you have chosen. Create a questionnaire to garner opinions from friends and colleagues about their perception of the brand you have chosen. Consider how the branded product is advertised, where it is sold and who buys it. Explain the extent to which the brand reflects the culture of the society in which it is marketed. Evaluate the brand’s marketing strengths and weaknesses. How easy or difficult would it be to make and sell counterfeit versions of the branded products? Does the brand you have chosen have an anti-counterfeiting strategy? 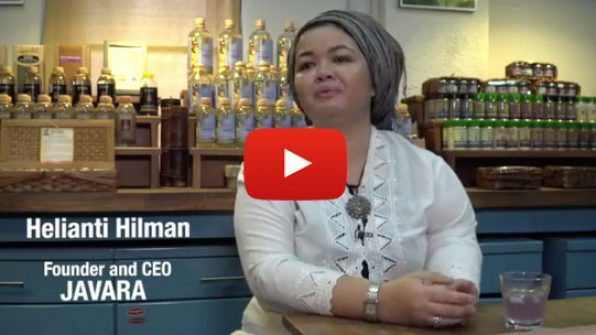 The video below shows how Indonesian businesswoman Helianti Hilman adopts a strong trademark strategy to help promote her “Javara” brand of Indonesian food products in overseas markets. “Those who control the brands control the whole market,” she says. Watch the video then discuss and make notes on the questions below. Helianti Hilman stresses the importance of registering her brand’s trademark. What aspects of the business will be protected as a result of the trademark? Helianti talks about how the Madrid system simplifies the trademark registering process. What do you understand about this system both from what Helianti says and from your own research? What is the advantage to a company like Javara? Helianti stresses the social benefits of her project. Which of these benefits made the biggest impact on you and why? How could respect for Javara’s trademark benefit others? 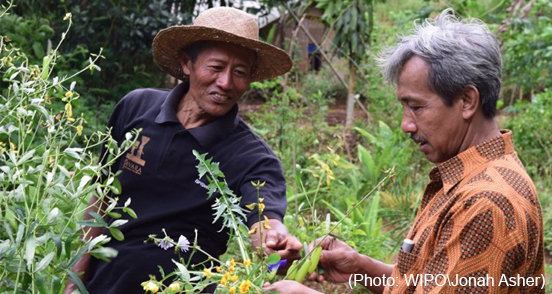 Protecting intellectual property rights can help develop rural farming communities in some of the poorest parts of the world. To learn more, read this article and afterwards, discuss the key findings with your class.